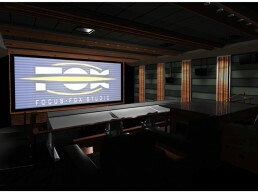 Focus Fox Concept | Pilchner Schoustal International Inc. 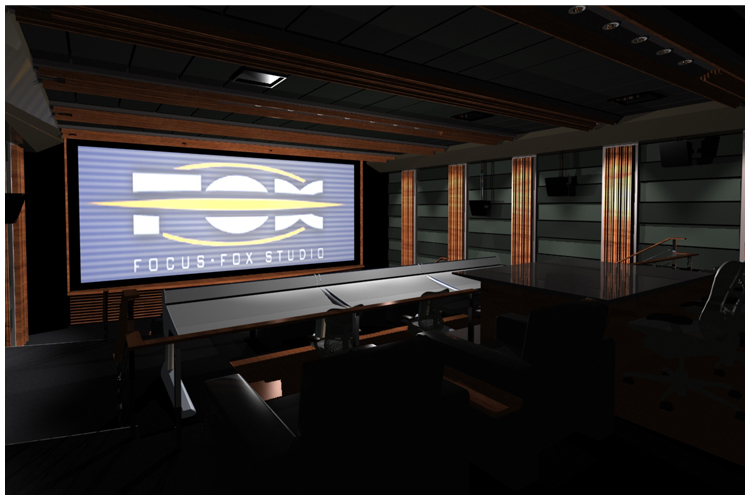 These are the conceptual renderings for the Focus Fox film mix theatre and color correction suite. 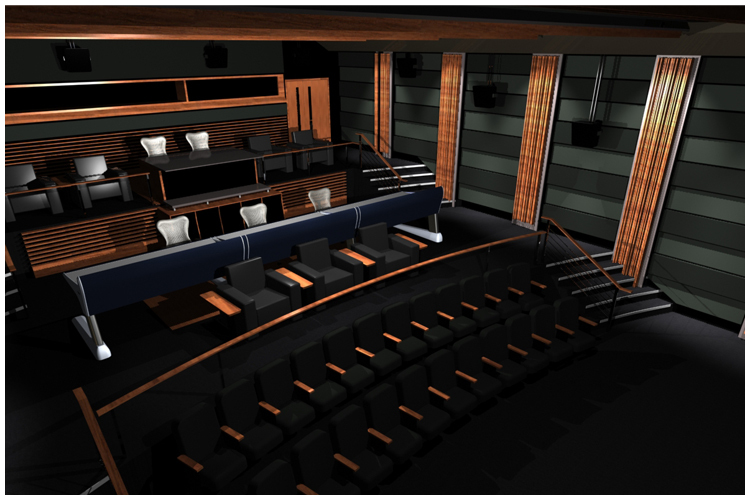 The idea is the central tier in the room is for the audio mix activities and the rear furniture system is to integrate the color correction system. 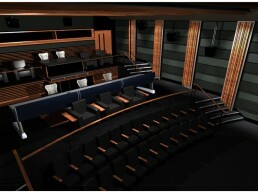 Film, Christie 2K and Sony 4K projection is provided. Room is THX certified. 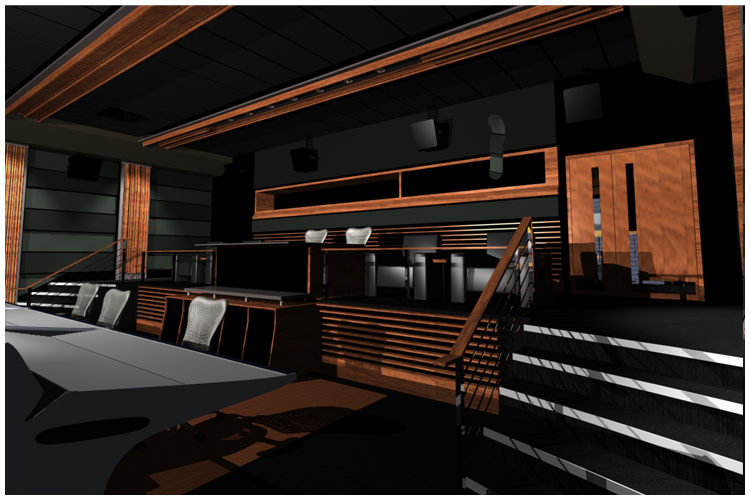 The challenge to the work is to place the entire facility under the existing parking lot which occupies the area between two post production buildings. 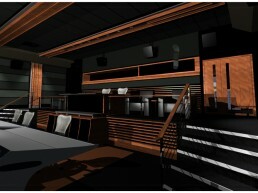 The finished facility will have the parking lot located at ground level above the ceiling.